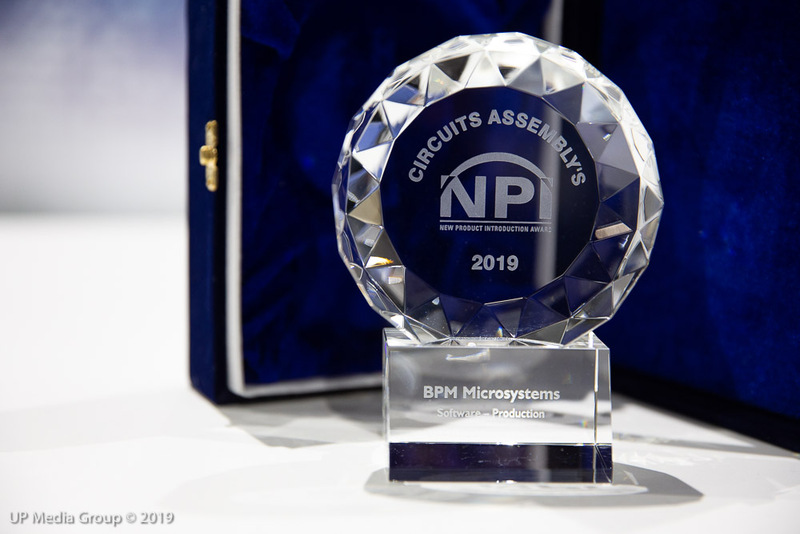 BPM Microsystems, a leading global provider of device programming solutions, received the 2019 New Product Introduction (NPI) Award in the category of Production Software for its WhisperTeach+ solution, only available on BPWin™ software. The award was presented to BPM at the 2019 IPC APEX Show. This marks two years running to win the NPI; WhisperTeach™ won last year for automating the z-height teach. WhisperTeach+ takes it to another level by automating not just the critical z-height, but all of the socket locations as well. HOUSTON, TX-Apr. 10, 2018- BPM Microsystems, a leading global provider of IC device programming solutions, announces that is has been awarded the 2018 New Product Introduction Award in the category of Production Software for its WhisperTeach™ solution on the BPWin™ platform. The award was presented to the company during a ceremony that took place at IPC APEX on Tuesday, February 27, 2018. WhisperTeach™ uses artificial intelligence and an enhanced pneumatic system to learn and determine the accurate z-height between the nozzle and device. BPM invented WhisperTeach™, patent pending, to help programming centers and manufacturers reduce setup time per job, improve cycle time, reduce changeover time, and improve job accuracy. HOUSTON, TX-Mar. 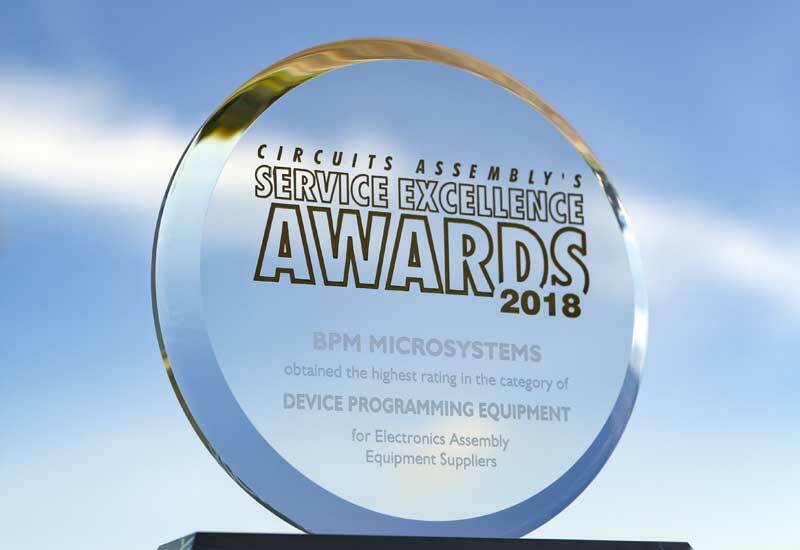 29, 2018-BPM Microsystems, a leading global provider of IC device programming solutions, announces that is has been awarded the 2018 Service Excellence in the category of Device Programming. The award was presented to the company during a Tuesday, February 27, 2018 ceremony that took place at IPC APEX Expo in San Diego. The annual Service Excellence Awards recognize companies that received the highest customer service ratings, as judged by their own customers. Customers of participating companies rated each company in five service categories including dependability, quality, responsiveness, technology and value for price. Companies were rated on a scale of 1 to 7, with 1 being poor and 7 being best in class. BPM Microsystems ranked first place across device programming equipment providers. 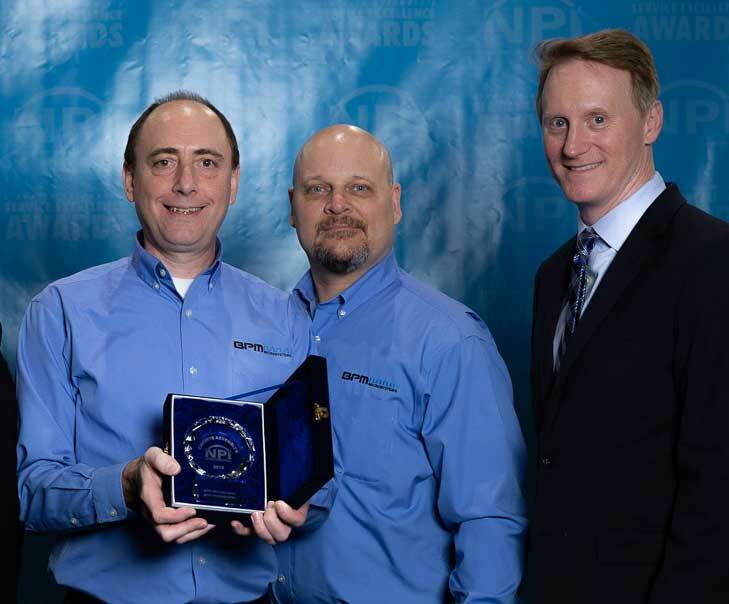 HOUSTON — Feb. 20, 2013 — BPM Microsystems announces that it has been awarded a 2013 New Product Introduction (NPI) Award in the category of Device Programming for its 2800ISP parallel in-system device programmer. The award was presented to the company during a Tuesday, February 19, 2013 ceremony that took place at the San Diego Convention Center in California. This marks the company’s 20th industry award. The new 2800ISP incorporates the company’s award-winning 8th Generation site technology utilizing its Vector Engine Co-Processor® into a custom-designed test fixture, allowing its customers to program flash architectures including eMMC, PCM and Raw NAND, plus MCUs and other device technologies on-board after reflow. In 2012, the company added support for third party functional testing, such as boundary scan, with the capability to test up to 240 pins in addition to the 960 pins available for programming. Ideal for medium- to high-volume production, the 2800ISP is configurable and can program up to 16 devices in parallel. Like all 8th Generation programmers, the 2800ISP with BPM’s Vector Engine Co-Processor is capable of achieving an amazing peak operating rate of 12.8 Gb per second. This solves the test bottleneck while allowing the operator to program the latest data just in time, all while attaining a very low programming cost per device. 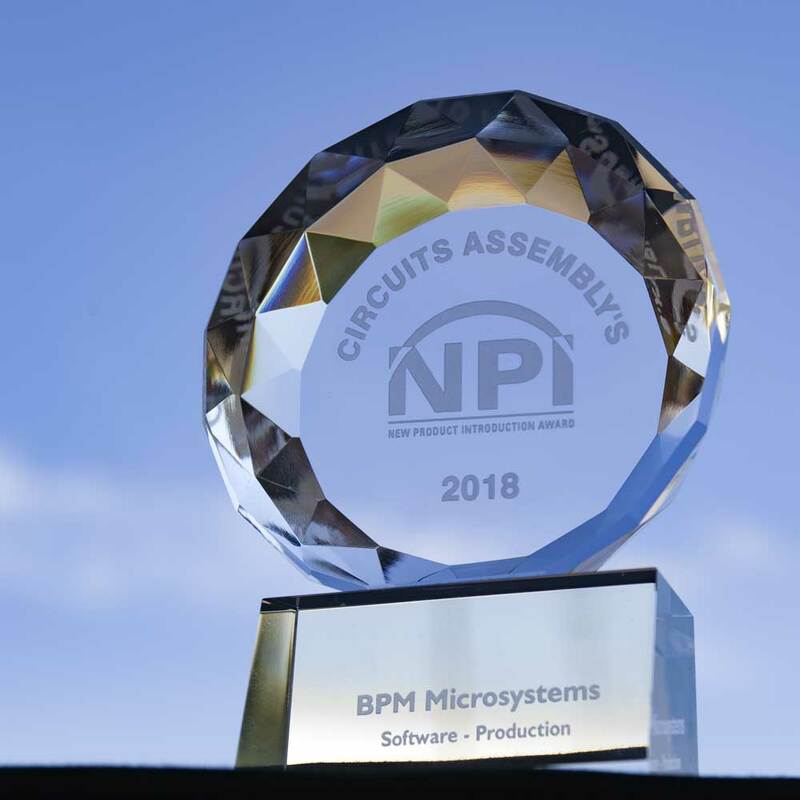 Premiering in 2008, Circuits Assembly’s NPI Awards program is an annual celebration of product excellence in electronics surface mount assembly. Premier products based on the finest examples of creative advancement in technology are chosen by a distinguished panel of industry experts.